A majority of parents say that they wish they would have spent more time with their teen drivers in high-risk situations. According to the National Safety Council (NSC), our teens aren’t always getting the proper education they need behind the wheel to stay safe out there. To help parents and guardians with this important task, officials with The Allstate Foundation and with the NSC have teamed up to create life-saving and unique approaches to get the job done. It’s all there within the “Drive it Home” website. 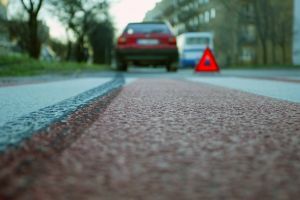 Our Quincy car accident lawyers understand that motor vehicle accidents continue to be the number one cause of death for teens across the country. They’re actually more likely to get into a car accident during their first year behind the wheel than during any other time in their lives. Luckily, parents, guardians and mentors can help to reduce these risks — all it takes is a helping hand. We all have to make sure that we’re staying active in our young drivers’ lives. And now “Drive it Home” is going to make it a little easier. “Drive it Home can help protect teen drivers, educate parents on the crucial role they play in the driving process, and help ensure our sons and daughters return home each and every night,” said Vicky Dinges with Allstate. So how bad are we at helping? According to recent studies with Allstate, parents aren’t doing enough — and they’re regretting it later. -Parents aren’t understanding the risks that their young drivers are up against. -Driver inexperience is the number one cause of accidents and fatalities among this young age group. -Even though about 90 percent of parents say that it’s important that their teens learn the importance of driving at night and driving with passengers, only about a third say that they’ve even covered these points with them. -About 30 percent of parents aren’t settling household driving rules for their teens to follow. It’s important that we set these rules (and lay out the consequences for breaking them) to keep them safe behind the wheel. More enforcement means safer driving. -More than 60 percent of parents say that they’re currently seeking help with their teen’s driving education. One of the best things that you can do is to create a parent-teen driving contract. This is a contract signed by both you and your teen that agrees on driving privileges, rules and bad behavior consequences. When creating your contract, make sure you include rules regarding the number of passengers allowed in the vehicle, their driving curfew and communication standards. You also should make sure that you’re spending plenty of time in the passenger’s seat. Ride along with your teen driver often. Make sure they know what they’re doing behind the wheel and offer them constructive criticism when you think they need some. Make sure your teen has lots of practice – the more practice, the better. Start off driving during the daytime, then gradually add practice at night and bad weather. You want to make sure that they’re ready for anything and everything out there. If you have been injured in a car accident, contact Jeffrey S. Glassman for a free and confidential consultation to discuss your rights. Call 1-877-617-5333.